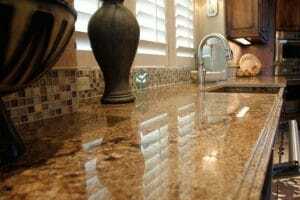 Granite is one of the most popular countertops Dallas homeowners love to buy. It offers elegance and durability that no other material can surpass. With its top-notch quality, it is only right for granite countertops to be quite pricey. But if you are new on the market, you are definitely wondering how much the cost of granite countertops installed especially. Read on to learn more about it via the detailed guide below. It is important to note that the cost of kitchen granite countertops greatly varies from one fabricator to another. You may receive a certain quote from a fabricator but it is going to be either higher or lower compared with another fabricator. Interestingly, there are factors that could help determine the price of this countertop material. For starters, granite’s price usually depends on the color. The darker ones tend to be a bit expensive compared to the lighter ones. Also, the quality impacts the cost of these countertops. The rule of thumb here is that the higher the quality is the higher the cost will be. You also have to consider the various edging options, such as ogee, waterfall, and straight edge. And mind you, each option comes with a price different from the other, so make sure you clarify this with your installer. 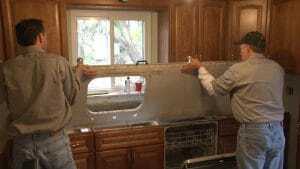 Moreover, fabricators price granite countertops’ cost based on extras or requests. For instance, you want the sink to be cut out or you are looking for a way to remove old countertops and install new ones. All of these factors are taken into consideration by fabricators. From there, you will know how much Dallas’ granite countertops installed cost. In any case, try not to resort to buying from home improvement stores. That is because they sell granite countertops at expensive rates. If you really want to save, go straight to a fabricator that offers factory-direct prices. Above all, make sure that you ask a quote for the entire project, not just the cost of the granite. That way, you will be able to make a cost-effective decision. As you can see, there are different ways for fabricators to determine a price. But, on your part, you can always have a way to determine the accurate figure. So, how exactly? Start by providing the fabricator and/or installer a drawing of your kitchen countertop. That way, they can use it as a basis to determine what is needed to be done and, more importantly, get a ballpark idea of the cost involved. Are you interested in premium grade granite countertops in Dallas? Check us out at Hard Rock Imports now! 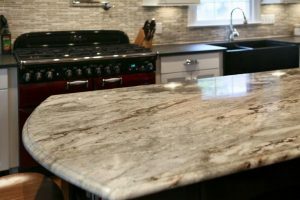 We offer manufacturing and installation of quality granite countertops. Call us today for a free estimate!